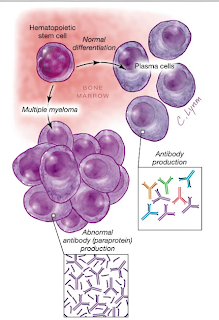 Multiple myeloma (MM) is the most common malignancy causing ESRD. 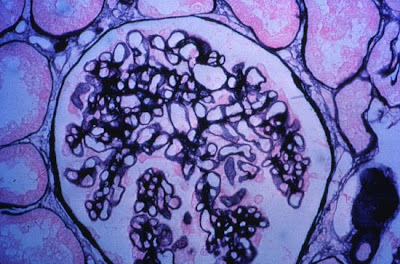 Renal disease is frequently related to the characteristics of the monoclonal immunoglobulin produced, which can lead to 3 general pathological findings: “cast nephropathy’, light chain deposition disease or amyloidosis. The use of Bortezomib in combination with other agents has improved the rate of clinical remission in the past 5 years and has led to increased referrals of these patients to transplant clinics. The challenge is that MM frequently recurs with time but patients are quite functional and strong activist of transplantation. As an example, a 55 year old female with diagnosed multiple myeloma in 2006 was evaluated for possible kidney tx. Her course was complicated by light chain deposition disease in the kidneys leading to ESRD but her MM has been on remission for the past 3 years after successful initial treatment. 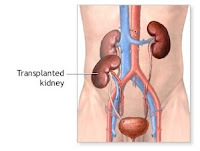 Should we consider a patient with MM for kidney transplant? Reviewing the literature, there are only few case reports and small series addressing this question. Almost all patients relapse after initial treatment if they have not undergone bone marrow transplantation. Unfortunately, many patients are not candidates for the definitive BM transplantation treatment. The topic is very controversial among different transplant centers. Is there a difference on kidney allograft recurrence of MM depending on the type of original injury? The graft outcomes in MM patients are determined by both the responsiveness of the underlying plasma cell disorder to initial chemo and by the inherent toxicity of the monoclonal Ig. Cast nephropathy does not seem to recur as often in the allograft compared to light chain deposition disease where the recurrence seems universal (check this review). Is survival of patients with hx of MM improved after kidney transplantation? No quality data available. Most of patients will have recurrence of MM (months to years after transplant) and the majority will die of either malignancy, CV disease or infectious complications. The major difficulty about doing a trial with this population is the heterogeneity of disease and low numbers of potential patients. Certain criteria to exclude high risk patients can be used to select the ideal candidate (used by Mayo but not validated): no failed prior MM therapy and absence of high risk features such as 4:14t, 14:16t, 14:20t, d17p or high risk GEP. Another prognostic marker is the evaluation of beta-2-microglobulin and albumin levels at diagnosis (high and low, respectively -> poorer prognosis). Recent European registry data reported that 1.4% of MM pts underwent renal transplantation and their mean survival was 9.4 years, while patients that remained on dialysis had mean survival of 0.91 years. Unfortunately, no information about type and severity of MM was available (inherent selection bias). The bottom line is that kidney transplantation could benefit well-selected MM patients on remission after initial therapy and with absent high-risk prognostic markers. The final decision should take into account the risks willing to take by both patient and transplant program. Earlier recurrence of multiple myeloma with immunesuppression and increased mortality by infections are special concerns. Credits for Dr Leung (Mayo), Dr Chandraker (BWH), Dr Heher (MGH) and Dr Scandling (Stanford) for thoughtful discussion. A number of years ago, I was at a lecture given by a transplant surgeon from London. He was discussing the dangers surrounding living unrelated kidney transplantation and he told the story of a member of a royal family, of a country that will remain nameless, who had come to London to get a transplant from his cousin. The cousin did not speak any English and, in fact, spoke a very obscure dialect so the translators had been provided by the Prince rather than the hospital. The night before the operation, the transplant fellow was doing his rounds and stopped to talk with the cousin. By coincidence, he was from the same area as the donor and started talking with him. It turned out that the donor was a private in that nation’s army and had no idea what he was doing there. Of course, the transplant was cancelled. I was reminded of this by the case of Levy Izhak Rosenbaum (previously mentioned in a post by Nate) who pleaded guilty this week to three sample charges of organ trafficking. He was selling kidneys to wealthy Americans for over $100,000 each and allegedly paying donors in Israel around $10,000 for each kidney. He is likely to spend the next 20 years in prison. Iran is currently the only country where it is legal to pay donors although it was legal in India until 1994. There are very short waiting lists in that country as a result although, as you might expect, there is very little intra-family donation because of the ready availability of organs from unrelated donors. 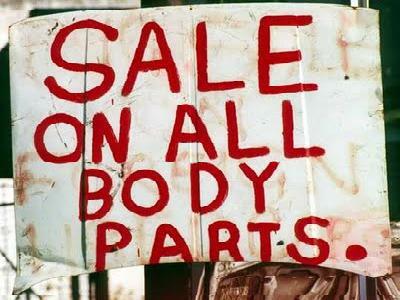 The Declaration of Istanbul stated unequivocally that transplant tourism and organ trafficking are unethical and lead to exploitation of the poor but this certainly has not ended the debate. Last year, there were a number of posts on RFN on this very topic with some impassioned debate. One of the key arguments in favor of allowing payment for donation is the lack of adverse outcomes for donors but many programs still do not monitor long-term outcomes, although it must be said that most published data suggests that it is relatively safe. However, any operation carries some risk and it is inevitable that a portion of these donors would die in any given year. Remember that donation carries no medical benefit for the donor. This is a very difficult ethical topic and I don’t know what the correct answer is. My own bias is that it should not be allowed and I think it would take a lot to convince me otherwise. 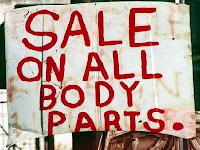 This particular case is interesting because the concept of organ trafficking is usually discussed in the abstract in the US but this shows that it is certainly going on here and care must always be taken if there is any suspicion of money changing hands. In a related case, 3 Brazilian doctors were convicted this week of removing organs from patients in a public hospital for use in an expensive private hospital. The patients, with the collusion of a neurosurgeon, were diagnosed with brain death and the doctors were convicted of murder. There were allegations of payments being made although these were never proven. The complexity of this topic is shown by the fact that it took 25 years for this case to come to a conclusion – the original operations occurred in 1986. 4) then: reverse osmosis. Pressure is applied to the water and pushes it over a polyamide or cellulose acetate membrane. This process rids the water of organic matter, bacteria, and endotoxins. 5) next step: deionizers, resins that remove cations and anions. 6) water is then irradiated to kill any remaining pathogens. 7) then it is ultrafiltered to remove any remaining bacteria, viruses, and pyrogens. Water is then continuously circulated to avoid stagnation, and siphoned off to different dialysis stations during treatment. Many thanks to Dr Coyne for the shameless pirating of several of his slides. Tumor lysis or tubular lysis? A patient presented to the outpatient service with progressive renal insufficiency and sub-nephrotic range proteinuria. He had a long history of CMML with few blasts in his bone marrow aspirate but a peripheral white cell count that was persistently in the 40s. There are many ways in which leukemia can cause renal dysfunction the commonest being infiltration of the kidney, tumor lysis, acute or chronic TMA and toxicity related to the treatment including chemotherapy and radiotherapy. It was not initially obvious what the specific cause of the renal impairment was in this case so he was referred for a renal biopsy. CMML (chronic myelomonocytic leukemia) is classified as a myelodysplastic/myeloproliferative disorder as it has characteristics of both and primarily is a disease of the elderly. It is characterized by the presence of increased number of peripheral monocytes and usually causes renal damage through infiltration or amyloid deposition. Under normal circumstances, monocytes and macrophages produce lysozyme. This protein is stored in these cells and used to lyse the cell walls of certain bacteria. In some patients with CMML, there is marked overproduction of lysozyme some of which is released into the circulation. It is subsequently filtered by the glomerulus and then reabsorbed by proximal tubular cells where it causes direct toxicity. There may also be an effect related to the fact that it is positively charged thus leading to potassium wasting. Interestingly, previous case reports have found that lysozyme is the predominant protein found in the urine of patients with this disorder and measuring urine and serum lysozyme levels could obviate the need for a renal biopsy in some cases. Bactrim prophylaxis with high-dose steroid use? This is a question we face quite often in the Nephrology clinic when we are commencing patients on high dose steroids for glomerular and other systemic inflammatory diseases. I came across a couple of interesting retrospective studies while trying to find some evidence to help guide the decision-making process. The first study analyzed 116 cases of pneumocystis pneumonia in non-HIV infected patients. The major common exposure was steroid treatment in the month preceding presentation (90.5% of patients) – the median dose was equivalent to 30mg prednisone for a median of 12 weeks before presentation. The second reported risk factors in 41 cases in a French centre. Mortality was 29%; 85% had received steroids at a median daily steroid dose equivalent to 15mg prednisone. Only 17% had received prophylaxis. The third used a matched case-control type analysis in patients with SLE – they reported 15 cases of pneumocystis infection; risk factors for infection compared to 60 matched controls included higher disease activity, renal involvement and higher mean cumulative steroid dose (49 vs 20mg/day; p<0.01). There are a number of factors to be considered when trying to answer this difficult scenario – the dose of steroids used, the duration of treatment, use of other immunosuppressive drugs (i.e. 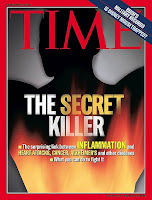 the net state of immunosuppression), medical co-morbid conditions and infection history. Many experts suggest prophylaxis for patients with rheumatological diseases requiring treatment with ≥20mg prednisone for greater than one month when used in combination with another immunosuppressive drug. Overall the pros and cons of PCP prophylaxis must ultimately be judged on a case-by-case basis. However if we use the evidence available to us, there are certain protocols which are specific to certain diseases. Not everything responds to steroids--for example, while it is reasonable to attempt a course of steroids alone for FSGS, there is good data to suggest that steroids alone does NOT have an effect in individuals with isolated hematuria from IgA Nephropathy. As an intern, and I'm sure many can relate to this story, I remember trailing after the team, disheveled and exhausted as we rounded endlessly postcall one day. Our hospital had the county jail contract and as we walked by a patient room I caught a glimpse of a man in the characteristic orange jumpsuit sitting at the edge of the bed with his leg chain draped around the bedpost. As I passed the doorway the attending at the head of the group spun on his heal, looked at me dramatically and asked, "what illness was that man suffering from?" I wracked my brain, "had his hands looked arthritic? Did he have a chest tube?" I had no idea and shrugged. 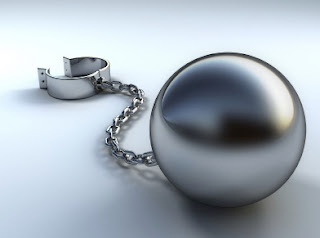 "That," the attending declared, "was Heavy Chain Disease!" The team chuckled and moved on and I sighed and tried to remember what Heavy Chain Deposition Disease (HCDD) was. In the October issue of AJKD there's a nice case series of HCDD that had me reliving that day of internship. HCDD falls under the banner of Monoclonal Ig Deposition Diseases (MIDD). There are three major types of MIDD, Light Chain deposition disease (LCDD), Light and Heavy Chain Deposition Disease (LHCDD) and HCDD. In the July NephSap on Renal Pathology (which is a must read if you haven't seen it yet) it's stated that 80 to 90% of MIDD cases are LCDD, 10 to 20% are LHCDD and less than 5% are HCDD with just 27 cases identified by the AJKD authors. HCDD is characterized by glomerular and tubular basement membrane deposition of monoclonal heavy chains without associated light chains. In terms of the types of Ig that have been described IgG related disease has been most commonly reported with rare reports of IgA and IgM. Clinically most patient's with HCDD present with hypertension, progressive renal failure, nephrotic range proteinuria and microhematuria. In the AJKD article the authors note that a conclusive diagnosis of a plasma cell dyscrasia was made in all cases of IgA related disease but in just 19% of IgG disease. They speculate that the reason for this is that the conformational abnormality of the monoclonal heavy chain in IgG disease is such that it has a very high avidity for renal parenchyma so that even small quantities produced by a clinically undetectable population of cells is enough to cause HCDD. The single case report of IgM disease did not have an associated plasma cell dyscrasia. The predominant pattern seen on light microscopy in HCDD is nodular glomerulosclerosis and of note all the cases of IgA related disease additionally had crescents. 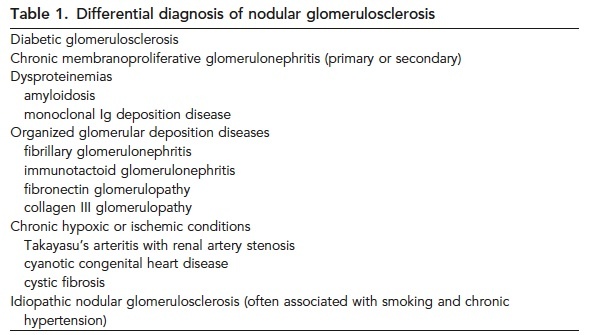 Nodular glomerulosclerosis has its own interesting differential diagnosis that has been previously reviewed on RFN. Check out the nice table below on the subject from JASN. Immunofluorescence is negative except for occasional complement deposition along with the pathologic heavy chain and electron microscopy shows fine, granular, punctate electron dense deposits that lack fibrillary structure (see Emily's great review of Organized Deposition Diseases for more on fibrillary deposits). The deposits are seen in the inner aspect the of the GBM, mesangium, outer tubular basement membranes and vessel walls. Now if the attending hits you with a bad pun post call, you'll 1) be ready for the pun and 2) be ready to dazzle and amaze with knowledge about HCDD. Dr Zeidel and the MDIBL crew wish to invite all previous attendees to the Second Annual Reunion of the Mount Desert Island Biological Laboratory National Course for Renal Fellows. This is a great opportunity for anyone attending Kidney Week to catch up and network with former students and faculty of this wonderful course. More information in the course itself can be found here. This reunion is sponsored by the American Society of Nephrology. I've had the privilege of being a part of the care team for several patients who have participated in Stanford's Immune Tolerance program here in Palo Alto. 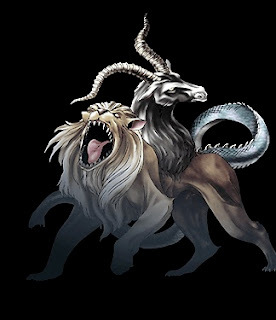 The idea behind the program is pretty cool: create chimerism (the immune state, not the mythical beast) in the kidney transplant recipient in order to facilitate long term immune tolerance allowing the discontinuation of immunosuppressant medications. Nate posted on the Mass General program for combined kidney and bone marrow transplants back in 2009 with reference to the original NEJM report from 2008. This past week in NEJM our fellowship director, John Scandling along with the transplant and basic science groups, reported on the followup of the initial 12 patients to undergo the protocol here at Stanford. The protocol is incredible. Patients receive 10 doses of total lymphoid irradiation targeted to the lymph nodes, spleen, and thymus, and five doses of rabbit antithymocyte globulin during the first 10 days after kidney transplantation readying the recipient immune system for donor immune cell engraftment. Donor CD34+ cells and a defined dose of T cells are then given to the kidney recipient on day 11 in order to create the new "chimeric" bone marrow. All patients get MMF for 1 month and cyclosporine for at least 6 months. 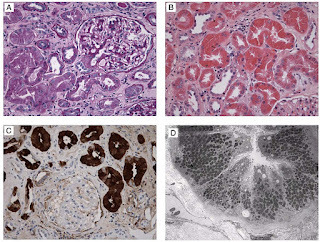 Cyclosporine is discontinued as long as persistent chimerism can be demonstrated and there is no clinical or biopsy evidence of kidney rejection or graft-versus-host disease. Seven of the initial 12 patients are now completely off immunosuppressant drugs without clinical or biopsy evidence of kidney rejection. 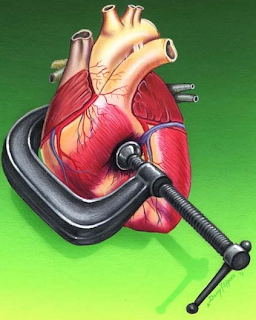 One patient, who was off immunossupresant drugs for three years died suddenly while exercising four months after a myocardial infarction. Four patients continue to receive immunossupresant drugs because of recurrence of FSGS in one and episodes of rejection during the tapering of cyclosporine in the others. The original protocol was applied to folks with perfectly HLA matched donors. These patients likely would have had excellent outcomes and allograft survival independent of chimerism but the protocol allows them to avoid the risks, side effects, expense and adherence issues that come with long term oral immunosupression. Patients with one mismatched HLA haplotype living donors have now entered the program and hopefully will be able to experience similar benefits. ** Ensure the cuff size is adequate, encircling at least 80% of the arm circumference. If the arm is too big for the cuff, it will falsely give higher BP readings. ** Lifestyle factors like dietary sodium intake and excess body weight should be addressed. Despite the difficulty in compliance, a low salt diet (50 mEq Na/day) is capable of reducing BP as much as most effective antihypertensives when used as monotherapy (23 and 9-mmHg reductions of systolic and diastolic, respectively). An average 8 kg weight loss is capable of reducing BP by ~8 mmHg systolic. Double-check compliance to prescribed meds. Frequencies higher than BID can significantly affect adherence to treatment. ** If evaluating for secondary causes of HTN like hyperaldosteronism, do not use the aldosterone/renin ratio if aldosterone level does not exceed the normal value for your reference lab (usually above 15 mg/dL). ** Before screening every patient for renal artery stenosis, consider how it will change your management. Interventions for renal artery stenosis secondary to atherosclerosis have been shown to be associated with significant complications and no major benefits. Finally, in patients with resistant hypertension despite maximal uptitration of agents on 4 classes, the addition of aldosterone blocker has been shown to have a strong effect on BP levels, despite its weak diuretic effect. Certainly the issue of hyperkalemia is always a concern but I believe this class of drugs is the most underused in hypertension despite data available (including lowering proteinuria in combination with ACEI or ARB). Please refer to the article on CJASN for additional details. This new section on Attending Rounds is very practical and quite useful. Kudos to Dr Curhan and editors involved in the creation of this section! One of the most important concepts in nephrology is that of chronic systemic inflammation and its role in increased cardiovascular (CV) risk in patients with chronic kidney disease (CKD) and those on dialysis. Despite a significant research effort the precise drivers of this inflammation have remained difficult to pin down. Previous work in patients with congestive cardiac failure (reviewed here) has demonstrated that relative underperfusion of the gut results in leakage of LPS from the GI tract into the circulation. A group of UK investigators analogised this situation to the haemodynamic perturbations seen in haemodialysis sessions and used this as a starting point to investigate the concentration of circulating LPS in CKD patients. Combining these findings with the fact that the study demonstrated correlations between LPS levels, the magnitude of hypotensive episodes during dialysis and dialysis-induced myocardial stunning, the authors concluded that haemodialysis associated circulatory stress leads to exposure to sustained endotoxemia. Importantly, they also found a significant association between this endotoxemia and reduced survival. So should we be giving our most haemodynamically unstable dialysis patients antibiotic treatment, or selective gram negative gut decontamination or polymyxin B haemadsorption instead of dialysis? Well, my thought is that individually tailored dialysis prescriptions to reduce CV stress during dialysis sessions are likely to be a good start in reducing LPS translocation and potentially decreasing the sequelae of this. I also note that the same group have just published a paper suggesting that plain (and good) old aggressive anti-hypertensive therapy might be a good option too. It is well known that patients who are referred to see a nephrologist earlier in the course of their disease are more likely to start dialysis with a functioning fistula and have better overall survival relative to those who are referred <12 months before starting dialysis. The care of many of these patients in the period before starting dialysis often involves doctors from multiple specialties and this is particularly true in patients with vasculitides and rheumatological diseases who are commonly co-managed by rheumatologists and nephrologists. What happens to these patients after they start dialysis? Looking specifically at SLE, the feeling has been in the past that in a patient with lupus nephritis, after they go onto dialysis, their lupus burns out. In most cases, immunosuppression is reduced significantly or stopped. These patients are coming into their local dialysis unit 3 times weekly and because of this time commitment, they may be less likely to follow-up with other doctors that they might have attended during their pre-dialysis days. However, at least one study has shown that patients with SLE who start dialysis have a worse overall prognosis than matched controls. A study was recently published in the Journal of Rheumatology that looked at patients with SLE after they start dialysis. They found that patients who saw a rheumatologist 2 or more times yearly following initiation of dialysis had improved overall mortality relative to those who attended less that twice yearly. One of the major differences between the groups was that patients who attended a rheumatologist more often were more likely to have continued on immunosuppressive therapy after starting dialysis. Specifically, patients who were taking hydroxychloroquine had a lower mortality independent of whether or not they received a renal transplant. The potential benefits of hydroxychloroquine are not just related to the immunosuppressive effects of the drug but it also appears to decrease thrombotic events and has a favorable effect on lipid profiles. There is increasing evidence that SLE remains active in the time after starting dialysis and that not treating this may be detrimental. Nephrologists need to be aware that SLE does not go away completely when a patient starts dialysis and we need to get better at recognizing the extra-renal manifestations of SLE so as not to allow these symptoms and signs to get lost amid the overall noise caused by being on dialysis itself. This study was flawed. It is a small observational study with a large number of potential confounders. The patients who rarely saw a rheumatologist prior to initiation were also less likely to have followed up closely prior to initiation. There were likely other factors influencing their follow-up that may also have influenced their overall mortality. However, it does raise some interesting questions and suggests that we should be thinking again about the more routine use of hydroxychloroquine in this population. Lifetime immunosuppressive drug coverage is part of protecting the health of kidney transplant recipients and under current medicare rules this coverage only extends for 36 months post transplant. During this period medicare covers 80% of immunosuppressant drug costs, while patients and or insurers cover the rest. Patients who qualify for Medicare by being over the age 65 and or disabled are exempt from these limitations. The "Comprehensive Immunosuppressive Drug Coverage for Kidney Transplant Patients Act of 2011" will help patients who receive a new kidney to keep it healthy by extending immunosuppressive drug coverage past the 36 month cut off. This legislation will help save lives and is an effective use of taxpayer dollars as it avoids the madness of potentially allowing a transplant to fail followed by guaranteed coverage of dialysis. ASN has a nice pre-composed email that you can edit and send to your members of Congress if you are interested in supporting the bill. Renal allograft rupture has been defined as a split in the renal capsule, associated with haemorrhage, when no identifiable injury was noted at the time of harvesting. Renal allograft rupture is a rare, but life-threatening, complication of renal allograft placement. It most often occurs in the first two weeks post-transplant and usually requires immediate surgical intervention. The classical presentation is with sudden onset of pain at the graft site, shock and oliguria. The pathophysiology appears to be secondary to increased intra-renal pressure and and associated secondary injury. The increased pressure can result in splitting of the capsule, usually along the longitudinal outer border, with resultant haemorrhage. 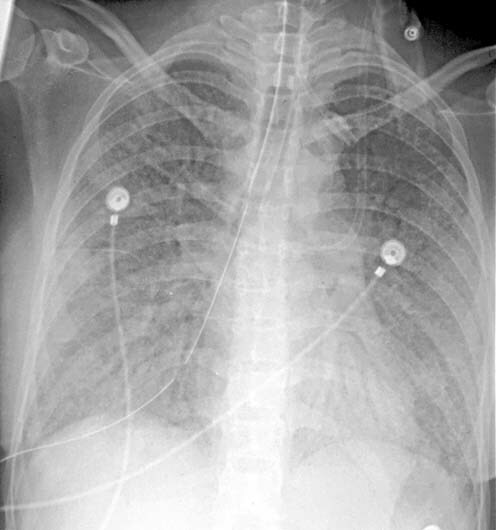 The main putative aetiologies have been described in many case series including this one, and include acute rejection, acute tubular necrosis, renal vein trombosis, increasing PRA, increasing age, biopsy of the graft and infection. In my quick analysis of published cases series over the last ten years, the crude incidence of RAR appears to be around 1.11%. Of these cases, the majority were caused by acute rejection (55.8%), ATN (34.7%) and renal vein thrombosis (7.4%). Immediate management involves supportive care and resuscitation, followed by containment of the ruptured area by surgical means or sometimes graft removal. The literature supports an atempt at graft salvage, with many successful outcomes reported to date. Thankfully it remains a relatively rare diagnosis, but definitely one we should all be aware of.